The Clockwork Princess Manga is out! Following on from their recent Big Trouble in Little China title, publisher Boom! 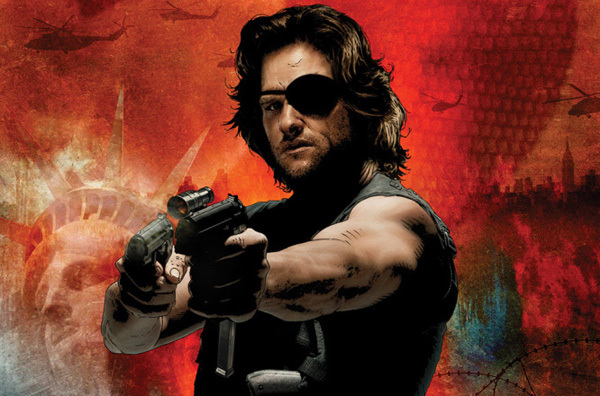 Studios is bringing another of cult director John Carpenter’s classic films to comics – Escape From New York. For anyone who hasn’t seen it, Escape From New York is set in a dark future where, in a crime ridden U.S., Manhattan Island is now a walled off max security prison of sorts where the inmates are left to fend for themselves. When Air Force One crashes inside the perimeter, one-eyed ex-soldier-now-bounty hunter Snake Plissken, played in the film by Carpenter fave Kurt Russell, is given 22 hours to rescue the President and recover the sensitive documents he has on him. The upcoming comic will be written by Christopher Sebela with an artist yet to be announced. Covers by Tim Bradstreet and Riley Rossmo have been released, both featuring different takes on Plissken. Whether the comic will feature other characters from the film remains to be seen.